Hope you had a wonderful Thanksgiving! Ours was interrupted by both my son and I getting very ill. We are pretty sure it was the flu, though my son’s doctor said it would be “mild” since we’d both had the vaccine. It didn’t feel mild to me! But I suppose it only lasted 6 days instead of two weeks. When our household goes into crisis mode like this–with all the routines going out the window–I am especially thankful that I took the time in a healthier month to load up my freezer with easy meals. Even in my stupor, I could tell someone to throw a bag in the crockpot or thaw a casserole to put in the oven. That way, those of us who were eating at least ate well! 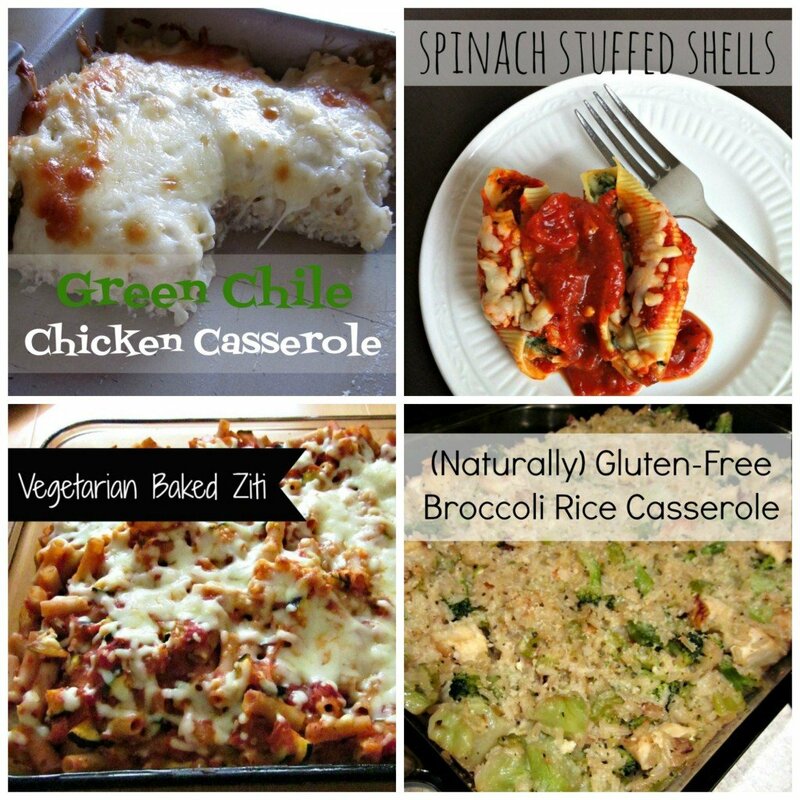 My go-to freezer meals like Chicken Broccoli Rice Casserole, Baked Ziti, Spinach Stuffed Shells, and Green Chile Chicken Casserole really saved the day. I’m going to need to find some time to do another batch cooking session and refill that freezer! What are your favorite meals to double up and freeze for later? Look for more fabulous recipes and inspiration in this week’s Tasty Tuesdays below.